"After graduating in veterinary medicine in 1993, followed 4 years of experience in the Veterinary Hospital "Chocos", Córdoba; working in a Vet-Team; in emergency medical-surgical and hospitalization. 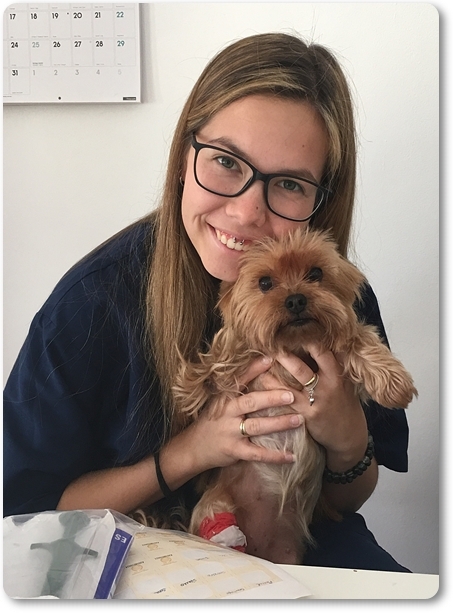 Then followed, practices in Veterinary Hospital "Gregorio VII", Rome (Italy) and in Veterinary Clinic "Las Salinas"; Calpe; doing the consultations, and surgical emergencies as well as hospital care of the critical patient. Since year 2000 until today, I'm working as Director of Veterinary Victoria. 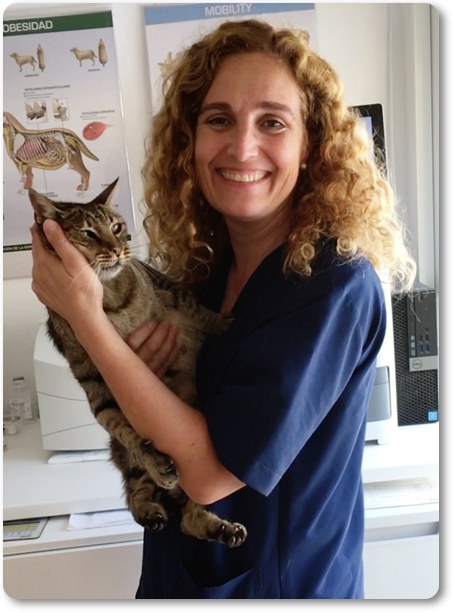 We are specialized in the area of Dermatology"
"In 2003, I began my training as a Veterinary assistant employee and was successfully completed in 2006 with my veterinary assistants diploma in Mühlhausen ( Germany ) . My practices were in "Kleintierpraxis Wenderoth". There, I had a lot of experience and strengthened my career aspirations; and learned to love working with animals . 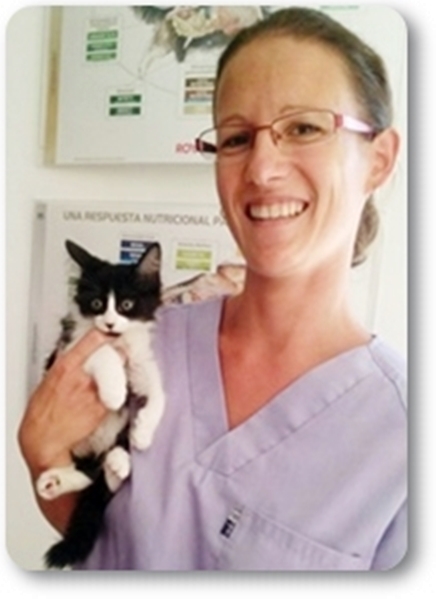 In 2007 I moved my residence to Spain and I'm working in "Veterinary Victoria" since that time . " Already as a little girl I always knew, that I would like to work with animals. Thanks to my employment at the veterinary practice Victoria, this wish has been fulfilled. I found my place to help animals ! !